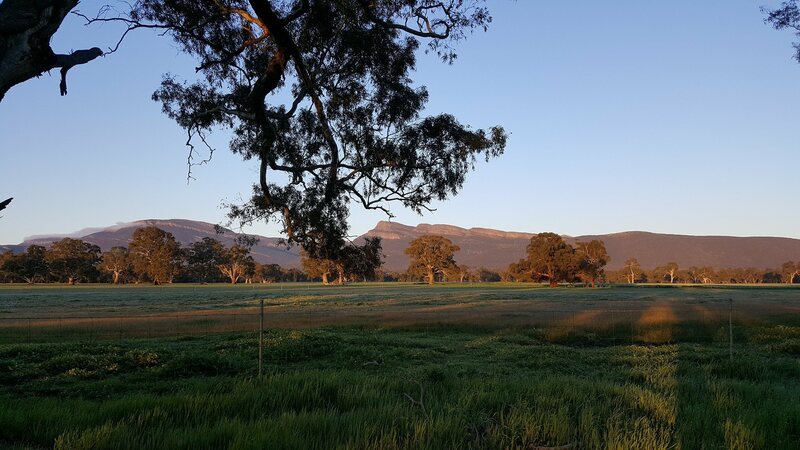 The Grampians will no doubt be on your must visit list and you MUST stay here too. There are so many reasons why, not least this amazing view! Josephina and Rohan are the proud owners of the park and they have a passion for the industry that I have not seen before. They love people AND camping and it shows. 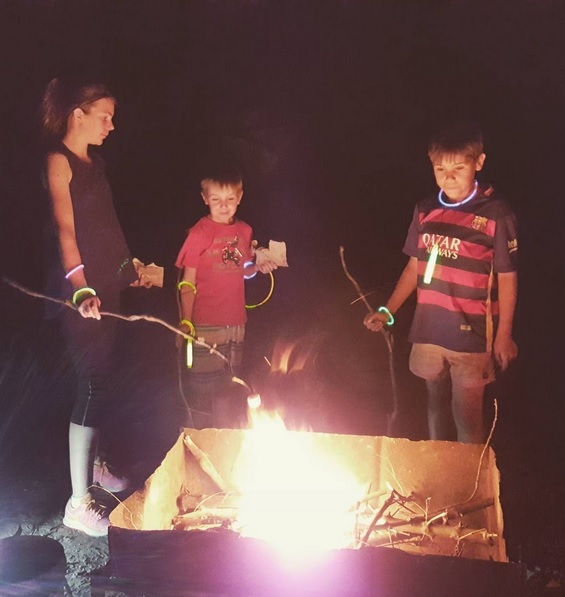 There are amazing views of the mountains that take your breath away and so much Australian wildlife.The kids will love it here - there's the possibility to have a camp fire, my children love that! They have some trampolines AND you can take a dip in their wood fire heated outdoor pool. Yes I said 'wood fire heated outdoor pool!!' Have you made a note of this great park yet?! 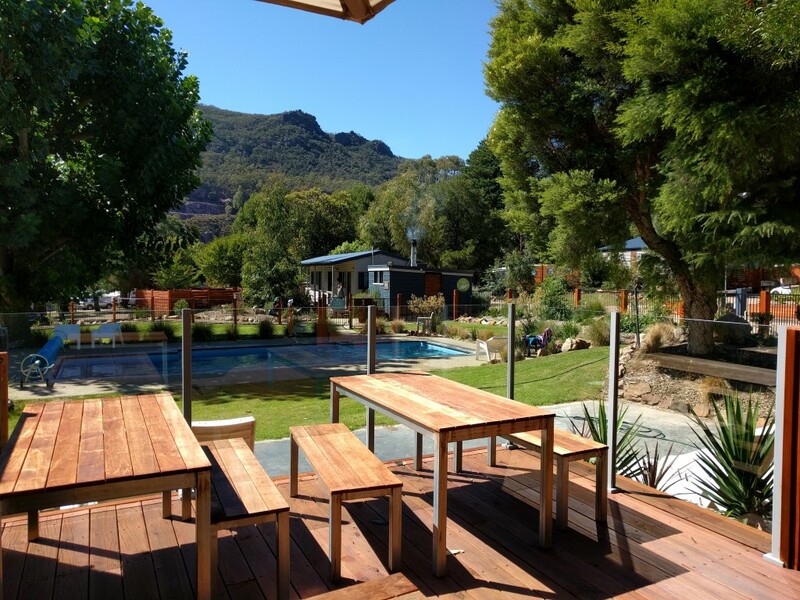 Take a look at this little video to give you a taster of what you can experience at Halls Gap Lakeside Tourist park and I think you'll agree this needs to be on your must stay list. As I mentioned before Jospehina and Rohan know how to make your stay enjoyable and encourage campers to get together too. They light an open fire for you each night, in the cosy camp lounge with leather couches. Happy hour! Of course this has proven to be a very popular gathering spot for everyone, adults and the kids. Have you heard about this?! 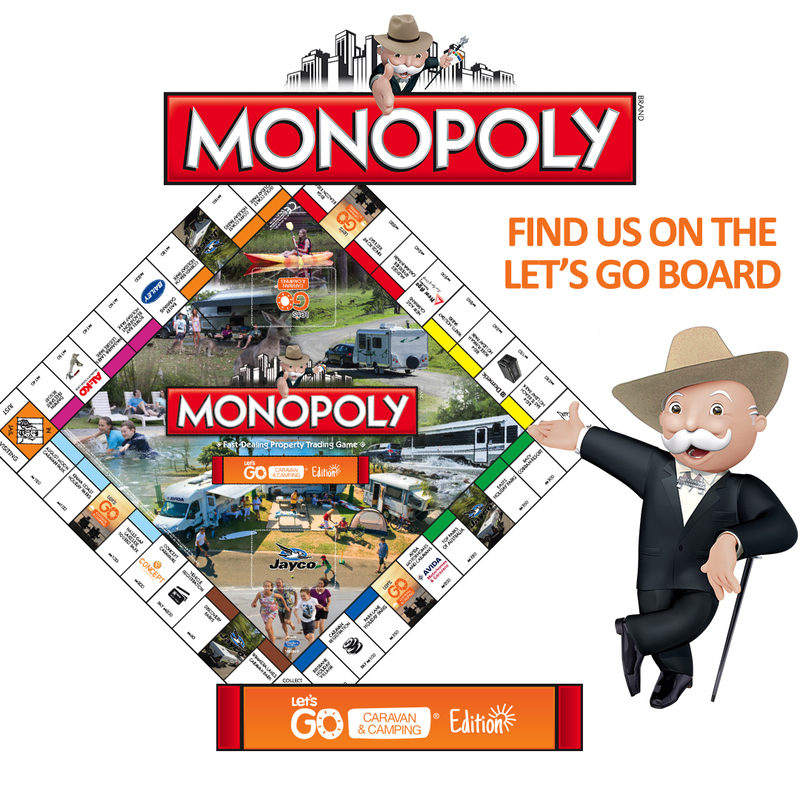 The Caravan Industry Association of Australia partnered with Monopoly to develop Australia’s first ever caravanning and camping themed Monopoly board game and Halls Gap Lakeside Tourist Park are on it! What a great idea - makes you want to visit them all! Time to head over to the Halls Gap Tourist Park website for all the information you'll need. As there really is so much more. 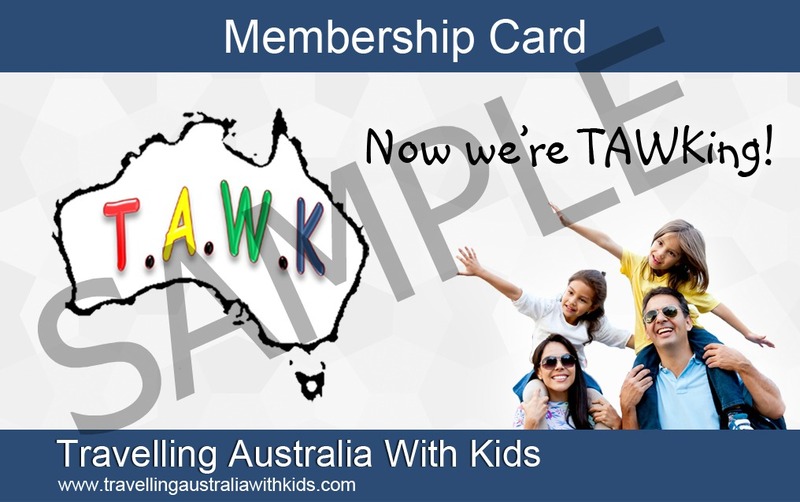 Don't forget to grab your TAWK Membership Card to show them you are TAWKers when you call or book in. This is one to put on your 'must visit' list and support them supporting you. For more information head to their, Website not to mention their Facebook page where you can keep updated and of course head over there to 'like' and follow them. Thank You Halls Gap Tourist Park for being a TAWKer Supporter! Check out other Caravan Parks or Stations supporting TAWKing here. If you would like to suggest a business that you think we should approach then please let us know here and contact us or share this page with them. If you are a business that would like to become a TAWKer Supporter, then please apply here.